(Ottawa) October 7, 2015: Today the City of Ottawa ended a 50 year-old practice of engineering roads with the almost exclusive interest of cars in mind and adopted a plan that also represents the interests of pedestrians, cyclists and transit users. The Transportation Committee unanimously approved a new Complete Streets Implementation Framework and, in so doing, took an important step towards safer, healthier, and more sustainable streets. 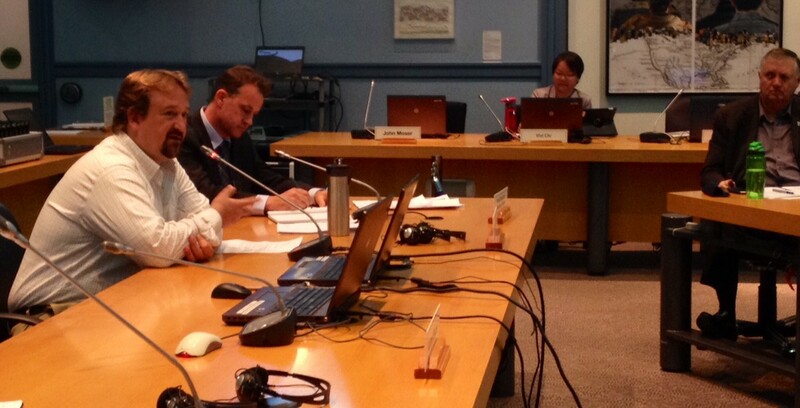 The City of Ottawa adopted a Complete Streets Policy in its 2013 Transportation Master Plan. Today it introduced a Complete Streets Implementation Framework to guide the implementation of the new policy (see “Background” below). Complete Streets are streets for everyone. They are designed and operated to enable safe access for all users, including pedestrians, cyclists, motorists and transit riders of all ages and abilities. Complete Streets make it easy to cross the street, walk to shops, and bicycle to work. The City of Ottawa agreed to adopt a complete streets policy in its 2013 Transportation Master Plan, but only now presented the Transportation Committee with a detailed implementation framework. The key change in the implementation framework relates to “Level of Service”. Put simply, Level of Service is a formula that traffic engineers use to measure how bad rush hour delays are in comparison to the normal flow of traffic. It provides a way of assessing traffic congestion and categorizing roads based on how quickly cars are able to move down the street, free of delays, and how easily they can maneuver in the roadway. This information is then used to design and reconstruct our streets over time. According to the Complete Streets Implementation Framework approved by the Transportation Committee today, instead of having only one Level of Service (for cars), Level of Service criteria will be used for all modes of transportation (cars, pedestrians, cyclists, public transit, vehicles and trucks). This will not be a cookie-cutter approach though. Different kinds of roads serve different purposes and will continue to be designed in different ways. However, if you walk, cycle or take public transit you will no longer be left out of the traffic engineer’s design formula. This change is an initial but important step in the right direction for Ottawa to move towards becoming a sustainable and green capital of Canada. It positions Ottawa as a leader in terms of finding concrete ways to implement the complete street concept. Ecology Ottawa is non-partisan grassroots environmental organization that is working to make Ottawa the green capital of Canada. Ecology Ottawa’s vision for Ottawa is one where pedestrians, public transit and cyclists are favoured over cars, where renewable energy and conservation is favoured over pipelines and the use of fossil fuels and where trees, green spaces, rivers and watersheds are protected and enjoyed by all who live in Ottawa.